After a lawsuit filed last week claimed a seventh death was linked to the ongoing recall of defective Takata airbags in millions of vehicles from nearly a dozen manufactures, Honda confirmed over the weekend that the latest fatality did indeed occur in one of its automobiles. The New York Times reports that Honda – which has been linked to the other six fatalities – confirmed over the weekend that a 22-year-old woman driving a 2005 Civic was fatally wounded by a ruptured airbag inflator following a collision in April 2015. The car company says the vehicle was part of a “safety improvement campaign” initiated in June 2014. However, the car’s owner at the time didn’t receive a notification. So when it was sold to the Louisiana woman in October 2014, it hadn’t been repaired. A safety notice from the manufacturer was sent to the new owner just three days before her death, the Times reports. “Honda deeply regrets that mailed notification appears to have not reached [the owner] prior to her crash,” Chris Martin, a spokesman for the automaker, said in a statement. The company said that mailed notifications first went to owners of recalled vehicles in areas with high humidity such as Florida, Hawaii and Puerto Rico back in September. Other areas – where ruptures were once thought to be less likely – including Louisiana, received notices later. Martin tells the Times that the prioritization of notices was a result of the magnitude of the recall and a lack of available replacement parts. The seventh death related to the defective Takata airbags was first revealed last week when the woman’s family filed a lawsuit against the Japanese auto parts maker and Honda. The plaintiffs say the driver sustained a penetrating injury to the right side of her neck, resulting in a loss of blood. The woman passed away four days later as a result of injuries sustained in the collision. The lawsuit alleges that Takata has known about its exploding airbag problem as far back as 2001 – including performing secret tests of the safety devices. 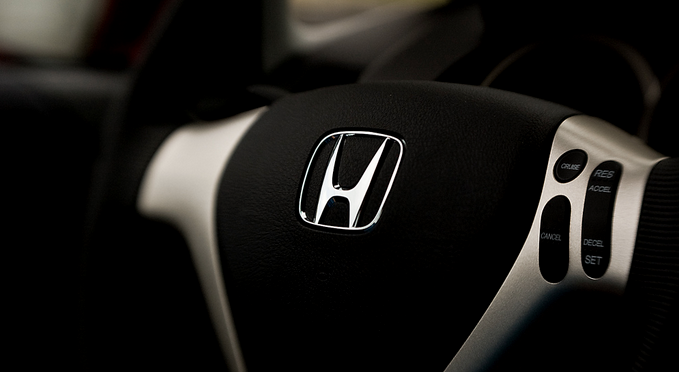 Additionally, the suit purports that Honda has been aware of the issue for more than a decade but failed to report some airbag-related incidents to that National Highway Traffic Safety Administration. The regulator has since levied a record $35 million fine against the automaker. “Since at least 2004, both the Honda Defendants and the Takata Defendants have had a growing and continuing awareness of the subject defect through consumer complaints, claims, and lawsuits, and of the grave safety dangers associated with the exploding airbags,” reads the complaint. The first vehicles with Takata-produced airbags were recalled in 2009. However, the vehicle included in the latest fatality wasn’t recalled until June 2014. In all, seven deaths and more than 100 injuries have now been linked to the airbags. Takata finally caved to regulator pressure last month declaring some 34 million safety devices as defective, initiating one of the largest auto recalls in U.S. history. Soon after the massive recall was announced, Takata gave confirmation that hundreds of thousands of already-replaced Takata airbags will need to be fixed again. While automakers have continuously added models to their roster of affected vehicles, regulators say it could be months before a final list is completed.